The future of work is creating an increasingly complex environment for business leaders across the globe. In this new world of work, executives must balance the ever-increasing demands from the workforce and navigate the obstacles of operational responsibilities, security concerns, shrinking budgets, and rising expectations of customers. Technology is generating significant opportunities for the digital workforce, and the way we work is changing. Employees are demanding consumer-like experiences to match technology in their personal lives, with greater flexibility on where and how they work. Some companies, such as IBM, are calling employees back to office because they may feel productivity and company culture lags with distributed teams. The desire to work remotely is not going away, especially among millennials. Fuze conducted a recent survey and through it, found that 85 percent of global employees say remote work appeals to them. Overwhelmingly, the research demonstrated that flexibility is critical to how they view their workplace experience. Not only do 83 percent state they don’t believe that they need to be in the office to be productive, but a further 89 percent believe flexible working should be offered to everyone––as a practice, not as a benefit. 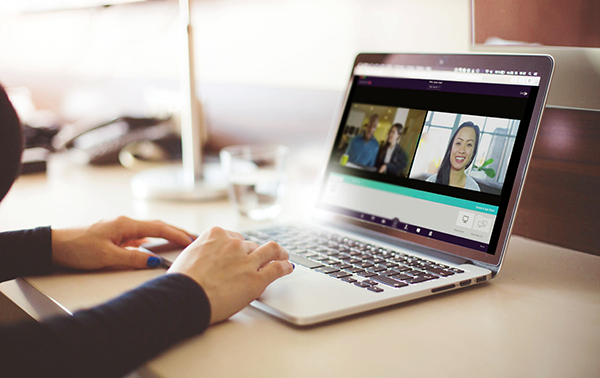 The most important thing for business leaders to understand when offering flexible or remote work benefits is that teams need the right technology tools to stay connected regardless of time zones or physical location. If the business doesn’t supply the right tools, the barrier for the workforce to adopt consumer tools is so minimal. This ‘shadow IT’ can result in security concerns. Between the tools IT provides to employees and those brought in by workers, most companies have between 8-12 applications across voice, video, and messaging, causing confusion for employees and productivity loss across an organization. There needs to be a balance. In the traditional office environment, leaders had physical evidence of who was engaged and disengaged based on who showed up when, observing what was on people’s screens, and other visual cues. As work moves beyond the office, the real challenge for companies is less about whether or not employees need to be in the office and more about how you can foster engagement and productivity regardless of when and where they get work done. This reinforces the need for streamlined communications and collaboration technology. People want to cue up a video conference or whiteboard an idea within seconds, irrespective of where their “office” is at the moment. When the friction traditionally associated with communications technology is removed, employees are free to collaborate how they prefer and often feel far more connected to their colleagues and the organization itself. The modern office is changing. Organizations that embrace these changes are in the best position to reap significant rewards in the long term. For more findings about the future of work, see the latest research from Fuze: Workforce Futures. To learn more about Fuze software, visit: www.fuze.com.